Last week, some reporters at Bloomberg came up with a pretty aggressive headline: Fallen Soldiers Families Denied Cash as Insurers Profit. National Public Radio was not far behind: their headline read: Life Insurance Firms Profit From Death Benefits. Holy profiteering, Batman! Did BP pay Prudential insurance to kick them off the front page? This one is pretty juicy. You don’t get much lower than the bottom-feeding off the bereaved families of those who made the ultimate sacrifice for their country. Survivors of service men and women are told they’ll get a $400,000 life insurance payout. They don’t. Instead, Prudential — which has a government contract to provide life insurance for military families — keeps their money. “You can hold the money in the account for safekeeping for as long as you like,” the letter said. In tiny print, in a disclaimer that Lohman says she didn’t notice, Prudential disclosed that what it called its Alliance Account was not guaranteed by the Federal Deposit Insurance Corp., Bloomberg Markets magazine reports in its September issue. Is That Really Muck You’re Raking? 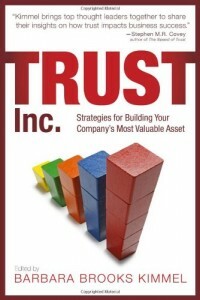 Now, Trust Matters readers know that I have been more than occasionally critical of untrustworthy behavior in the financial services sector. But something about this one just didn’t feel 100% right to me. I contacted a close friend who is a financial planner. “Is this as bad as it sounds?” I asked. At this point, the plot wasn’t exactly thickening—in fact, it was sort of thinning, as far as I could tell. Further articles suggested that the insurance company was not in a big hurry to tell people that they could get their money quickly, or that the interest rate was low, and that some of their actions could be interpreted as acting like banks. But this looked like a small print kind of issue, the sort of garden-variety obfuscation that we have come to expect from things like credit cards and insurance policies. Bad? Sure, but suddenly all those headlines about veterans and the VA began to seem a little misleading. This wasn’t about the VA, or veterans, at all. We weren’t getting the whole picture, I feared. Meanwhile, things were popping. Suddenly NY Attorney General Andrew Cuomo was sending out subpoenas about the scam. Defense Secretary Robert Gates pledged to help the VA in its investigation. The VA itself had already gotten into the action. And of course, congressmen had a (predictably outraged) opinion. Finally, there’s talk of a class action lawsuit pending. At this point, I was reminded of yet another sad tale in the news lately: that of Shirley Sherrod. The lesson there, if you’ll recall (I know it was way last week), was not to jump to knee-jerk conclusions about apparently valid information that turned out to be taken out of context. Except the Sherrod story came from an avowed right-wing vigilante; this story comes from Bloomberg News. I continue to believe there’s a very, very big difference. And yet: how to make sense of this? How could experienced reporters from a business network come up with a headline about veterans, loaded with trigger-cues, but with a backstory that said nothing unique about veterans? Randy Binner and Kevin Barker, life insurance analysts at FBR Capital Markets, questioned the [death benefit] outcry on Thursday. "We find the very sharp and rapid regulatory response to this surprising and apparently unfounded," they wrote in a note to investors. Accounts that life insurers offer to set up for beneficiaries are a long-established product feature that is optional for consumers, who can choose to take a lump sum in cash instead, the analysts said. "Investing funds ultimately due to customers in the general account to earn a spread over what is paid out quite simply describes the business of insurance," Binner and Barker wrote. How Much Muck Can a Muckraker Muck if a Muckraker Isn’t Raking Muck? Seems to me the worst case financial story here is another depressingly familiar tale of low-grade small-print-itis by the insurance industry. Hardly great, hardly trustworthy behavior—but far from the next great scandal either. The much bigger story, I fear, is another mainstream news source failing to put a story into context. I’m one who believes that incompetence offers a far better explanation for screwups than do conspiracy theories; this is not a Breitbart situation. Maybe the reporters just didn’t appreciate that what they were seeing was insurance-related, rather than veterans-related. Though for a business news organization, that’s not too great either. The big problem is, the results—lack of context—are in the same category as Andrew Breitbart. So now who do we believe? A couple key disclaimers: I am not an expert in insurance, or in the workings of veterans’ affairs. I have not spoken to the Bloomberg reporter on the case. I could therefore soon have egg on my face, so I will be watching the weekend news reports with interest to see if there’s an angle I’ve missed, and if I owe a mea culpa I’ll be on it quickly. But one thing makes me think my gut may be right on this: Prudential closed up strongly on both Thursday and Friday. And whatever else markets do, I believe they price pretty well. 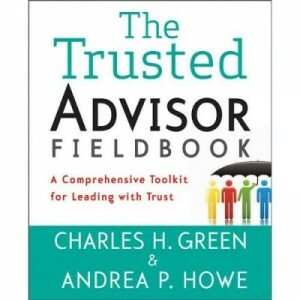 http://trustedadvisor.com/public/trusted_advisor1.png 0 0 Charles H. Green http://trustedadvisor.com/public/trusted_advisor1.png Charles H. Green2010-07-31 12:00:002010-07-31 12:00:00Who Can You Trust to Rake Muck if You Can't Trust the Muckrakers?